One of the younger sites on the Internet, only formed in February 2005, “YouTube” has grown phenomenally as a video sharing website by three former PayPal employees. Google bought the site in 2006 for $1.6 billion in Google stock! Not bad for a company barely a year old! So what is the appeal of YouTube? It is a video sharing website, where unregistered users can watch what is on there, and registered users can upload an unlimited number. It costs nothing to join, and its appeal seems to be mainly with young people. Some people have become “Internet celebrities” overnight on the site, and it is a good place to learn new things and there are some entertaining and funny clips. Some of these eventually end up on television. Recently, Ringo the former Beatle pop star from the famous band of the 60’s ranted on asking people not to send any more letters or items to sign for autographs, saying that after October 20th all such items would be thrown and not returned. It was strange in that while he was ranting on about this he added the words, “Love and Peace” which seemed to contradict the whole tone of the message. However, it was a good way to communicate the message to his fans. It has now become a political medium too, as both Gordon Brown, the prime minister and David Cameron from the opposition, have used it to convince voters about their policies and outlook. YouTube is a popular communication medium these days, but unfortunately some people try and use it for defamatory messages or criminal forms of communication, despite the rules put in place about uploading harassment, commercial advertisements and material encouraging criminal conduct. One of the great aspects of YouTube is that you can find information on practically anything. You can’t watch whole movies of course, as that would breach copyright laws, but you can watch excerpts from various films and short clips. When you do a search you are presented with pictures representing the clips and a title for each clip. Want to relax for a while? Then just load up a YouTube move of the ocean, complete with the audio of the sea. Want to have a laugh? There are thousands of funny excerpts to choose from, so take your pick and enjoy! Need to learn something? Just type in the keywords of the subject you wish to learn about and a list will appear on the subject of your choice. Approximately 100 million videos were being watched every day. In 2006, the Wall Street journal claimed that YouTube was hosting about 6.1 million videos, and that this required roughly 45 terabytes of storage space. In 2006, the average number of videos being added per day was 50,000 and in January 2008, nearly 79 million users had made over 3 billion video views. According to the Alexa Website rankings, YouTube is viewed by just fewer than 20% of the Internet population daily. Not many sites can claim to consume as much bandwidth as the entire Internet in on year. However, the YouTube site achieved this in 2007. 13 hours of video are uploaded every minute, at a bandwidth cost of $1 million a day. Despite these amazing statistics, Google did not make any profit out of YouTube in 2007, but it is anticipated that their ad sales should make a profit in 2008. 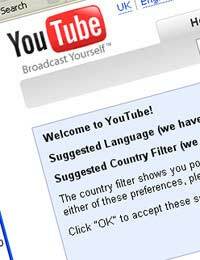 As the registration and membership and use of YouTube is free, Google can only make a potential profit via ad sales. YouTube is a great site to visit if you need some quick entertainment. You can even upload your holiday videos and others you have taken. It’s a good place to store them and anyone can view them whenever they wish.